Pankaj Parashar awarded with HT Media star award. 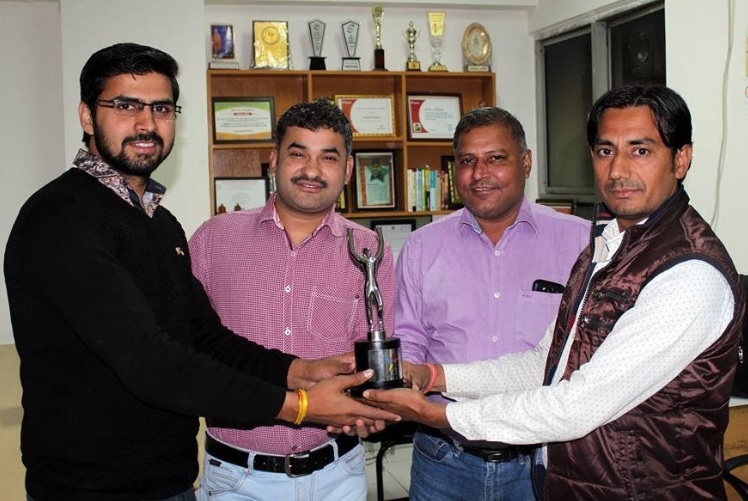 Greater Noida Bureau chief of Hindustan daily newspaper awarded with the prestigious Ht media media Star award for the year 2016. Awards were revealed at the function hosted in Gurgaon last week. Pankaj unveiled the land scam in Nangla nangli and nangli Shakpur village of Greater Noida. Land mafia unlawfully in Nandla Nangli and Nangli Shakpur acquired land worth billions later made Farm Houses and sold them. A series of News was published in daily newspaper as a result a public petition was filled in high court. High Court ordered district administration to evacuate the land after which Air Force regained its possession on the land. Update: 6 killed as fire breaks out in bakery in #Pune.